This week me and Gillman play through the opening of Zeno Clash II. Man, this game is friggin’ weird. FatherMother punch to your phace! Watch live video from varms on TwitchTV Check out my full written review of this game HERE. Atlus is teasing fans with the opening cinematic to the upcoming Etrian Odyssey game. This intro movie was created by MADHOUSE and features some pretty sweet animation and musical soundtrack. 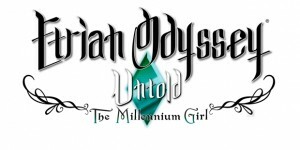 Check it out: Millennium Girl will be available on the 3DS on October 1st for $40.